Its that time of year, everyone is wearing less and the dreaded white legs are glaring out at us, screaming for our love and attention. Thats why its important to MOISTURIZE and EXFOLIATE! especially after what was such a long and dreary winter. The weather affects our skin like nothing else. Exfoliating removes dead skin cells, keeps skin soft and glowing, and massaging helps work the lymphatic and circulatory systems. Coffee and coconut have to got to be two of my favourite scents in the world. 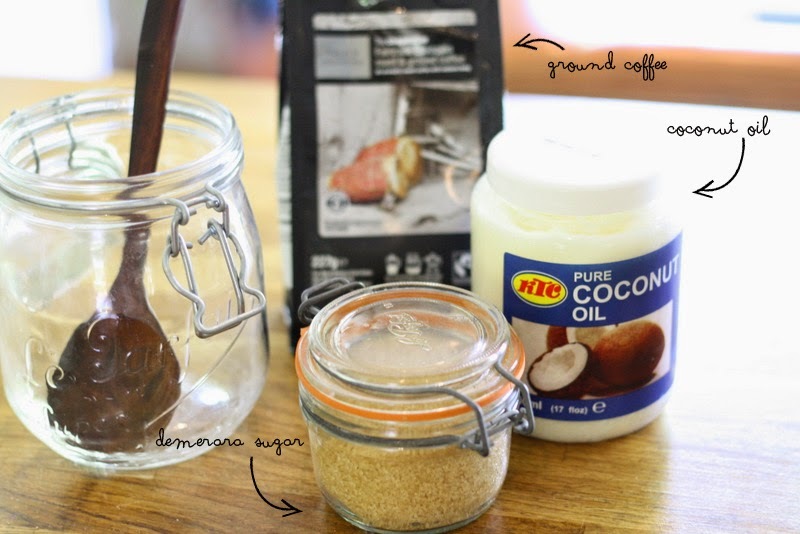 I found a similar recipe using Olive Oil but thought using Coconut Oil would make it ten times more delightful. Skin now feels and looks like you are fresh off a white sandy beach in the Caymans. 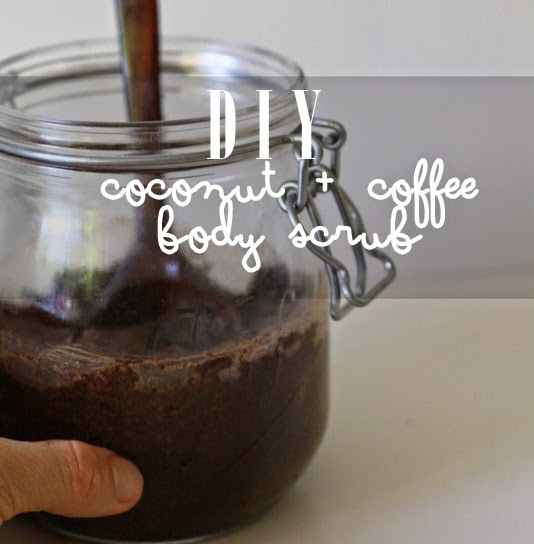 coffee is the best natural exfoliant, while coconut oil smoothes and softens the skin. When mixed together and scrubbed, it is the best remedy for dry skin. Thank you for the post.